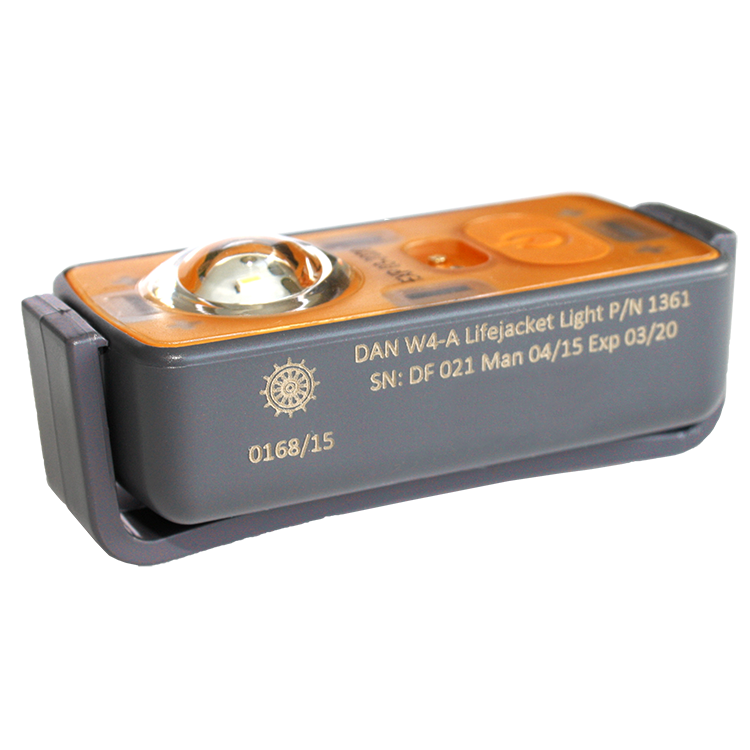 Daniamant is proud to present a new range of lifejacket lights and a new concept of lifejacket lights. 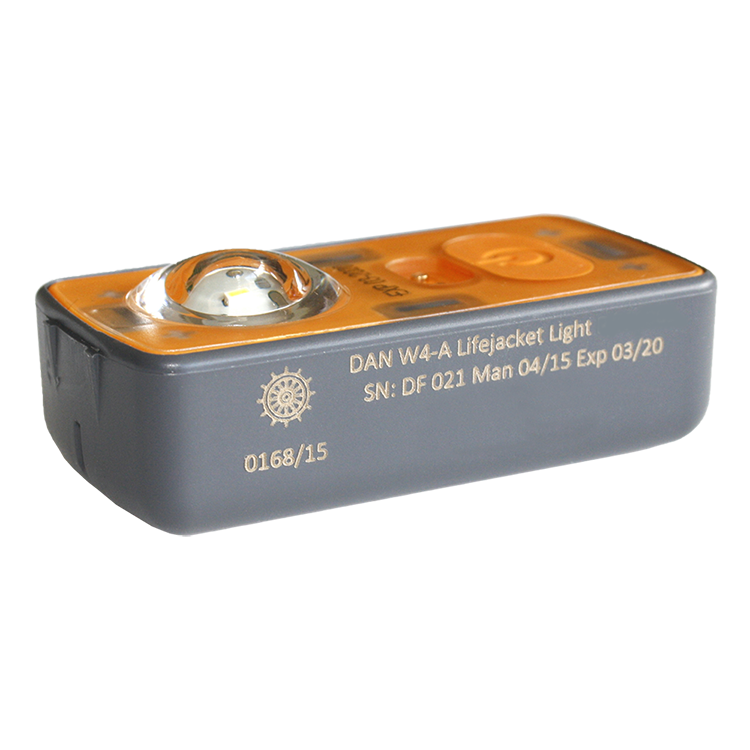 Daniamant continue to offer lithium based technology survivor location lights as its preferred choice of battery technology. This is due to lithium’s superior power and ability to work at extreme temperatures, whilst having a longer life once activated e.g. 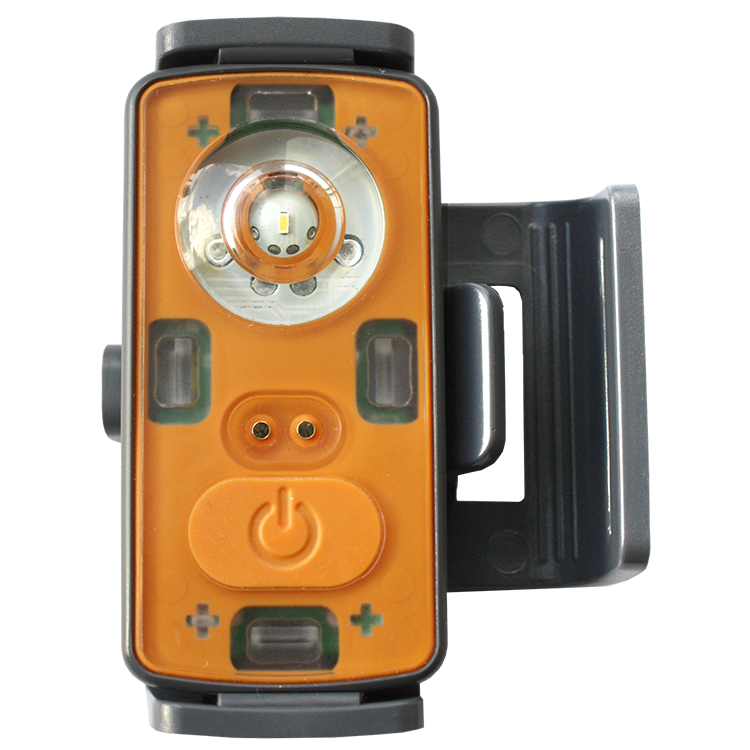 the M3/W3 range currently lasts for almost 90 hours at the required 0.75cd light output. However as disposal of lithium becomes more of an issue and transportation costs increase Daniamant need to offer its Customers a choice of battery technologies. Our new Alkaline range meets all the testing requirements of SOLAS and the Marine Equipment Directive but using alkaline technology this new range will only last for 60 hours – still way in excess of the required 8 hours. Our new range is of course 100% approved but gives our Customers a choice of two quality lights. You can now make a choice depending on your priorities in transport versus, disposal versus performance. This new, low profile light is a single compact flashing unit. It is manually activated by pressing the switch on the front of the light. 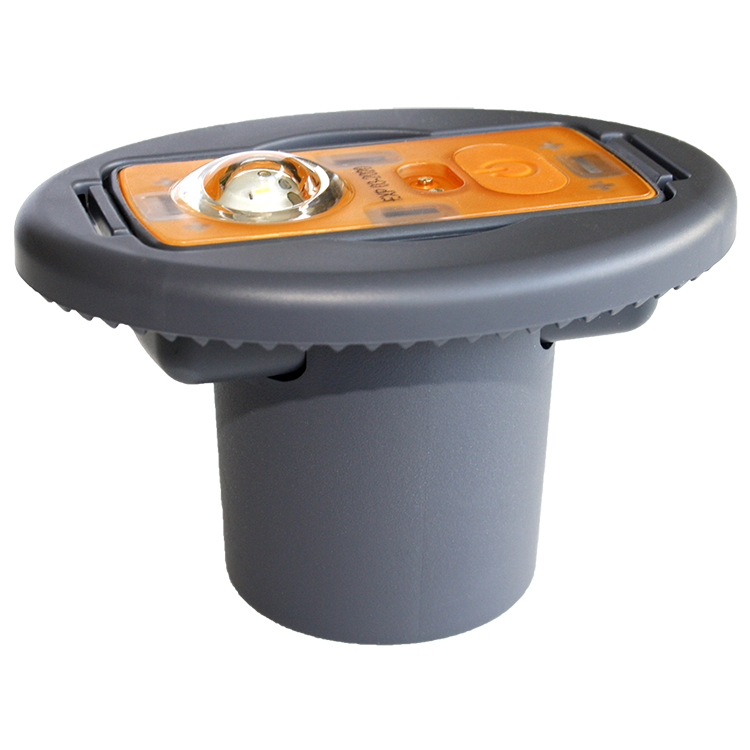 The light is emitted through an ultra low profile dome, making the light less susceptible to damage during evacuation. This is the automatic version of M4-A. The light activates automatically when in water and can be turned off manually if required.